Comm Eye Health Vol. 29 No. 96 2016 pp 78. Published online 03 March 2017. We hope that you will also discuss the questions with your colleagues and other members of the eye care team, perhaps in a journal club. 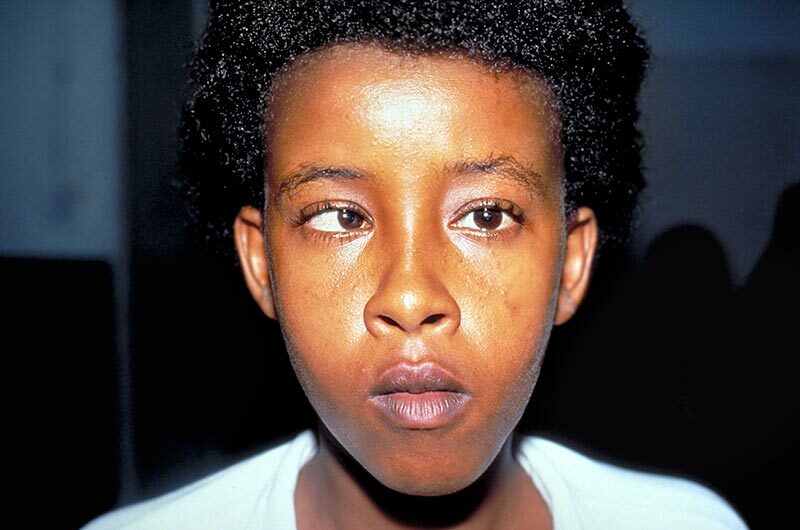 Is this a sudden onset of a 6th nerve palsy or a longstanding esotropia? This boy may have a longstanding right esotropia (if he is looking straight) or a left 6th nerve palsy (if he is attempting to look left).